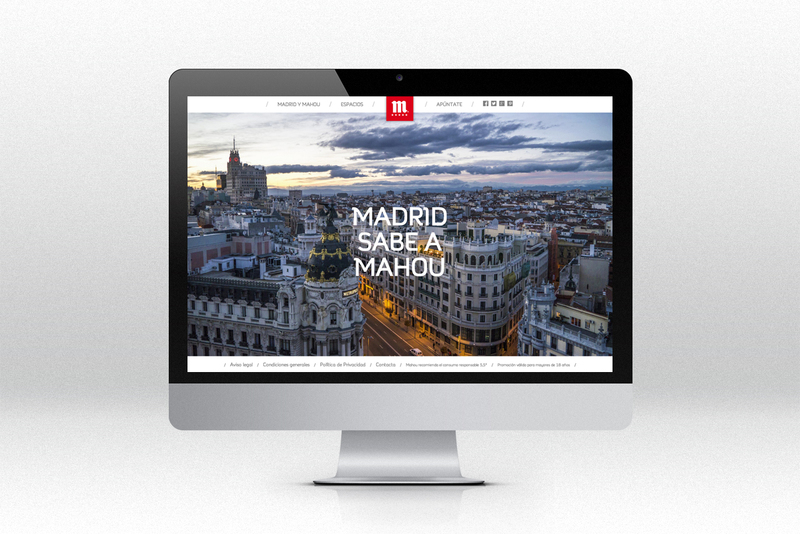 Mahou has organised beer tasting sessions at emblematic locations throughout Madrid. They want to tell their story to beer lovers, explain how it is made and talk about the beer's different qualities and characteristics. 1- The website sabormahou.com, which is the only way to register for the tasting sessions. The locations are regularly published on the site so that anyone who is interested can sign up. 2- The display campaign, which plays a fundamental role in providing information on the event and directing traffic to the website. 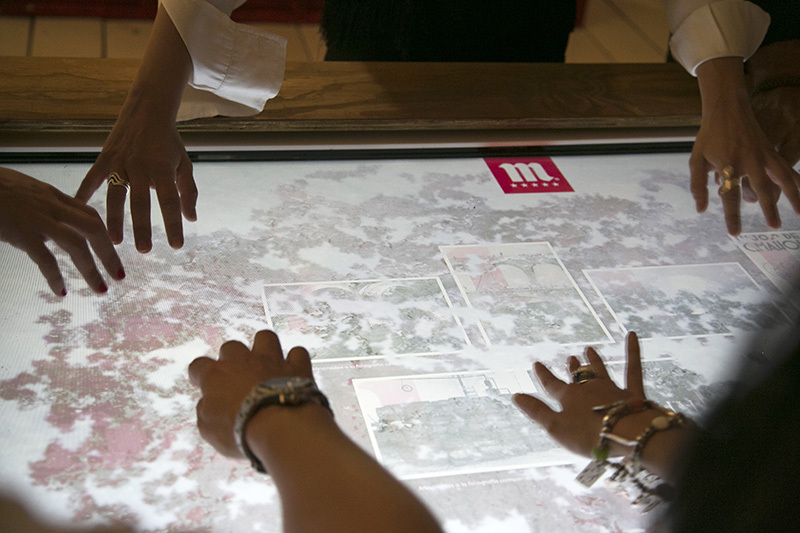 3- The interactive table around which the experience will take place. The most interesting thing about the table, and what makes it unique, is that besides detecting the position in which an object is placed on the screen, it can also identify it and set it apart from any other object. 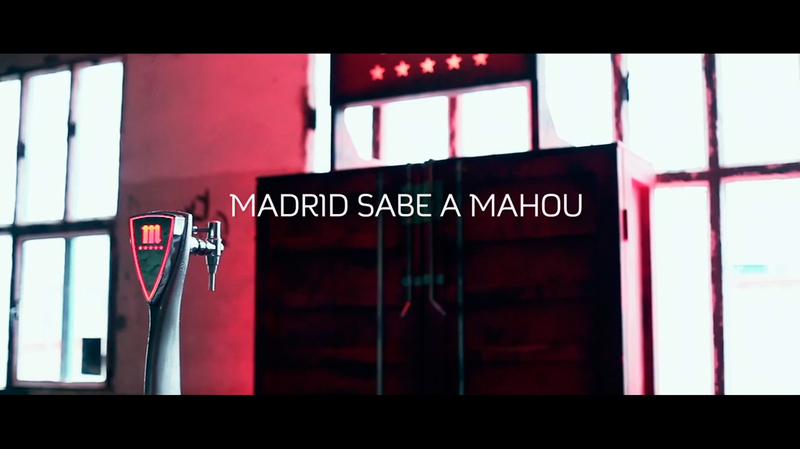 This is essential because 5 bottles of Mahou are included in the 5 menus that make up the application. - Certain features to attract the attention of the public and thus maintain their interest. For example, subtle animations in a number of the historical images shown throughout the experience. - Sections that require public participation. 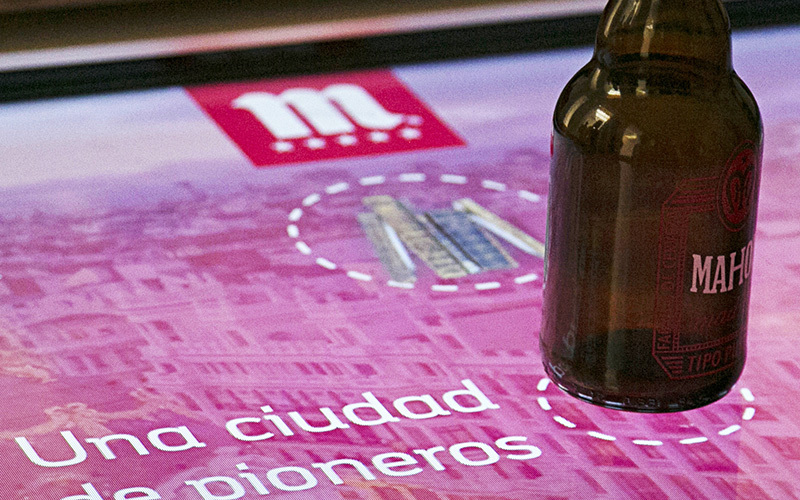 In one such section, when talking about Mahou's ice-cold beer, participants have to push the frost appearing on the screen aside to "unearth" the images below. - Unexpected moments. For example, images of water and grains of barley, that unexpectedly respond to touch, appear when talking about the ingredients of beer. The water and barley moves when touched. - Innovative activities. Buttons are not displayed in any of the sections or applications. 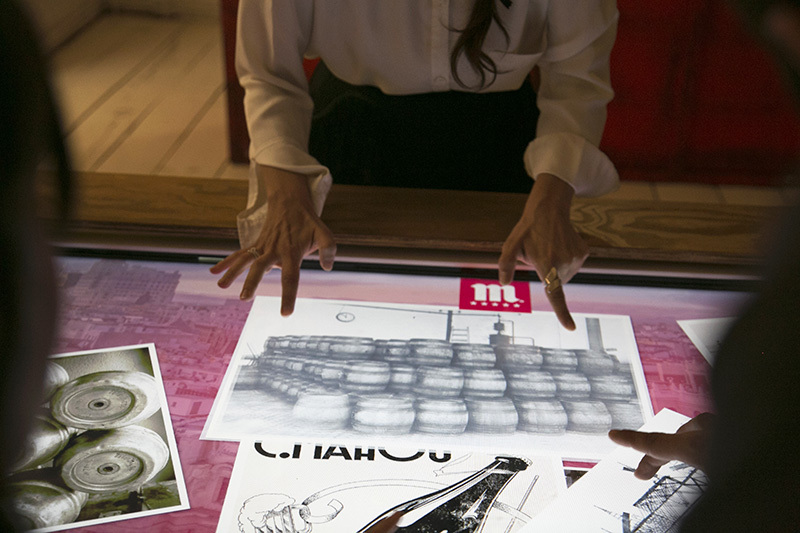 Each section starts by placing a bottle on the table and browsing is possible by touching the elements that appear. - Butragueño&Bottlander, script and design. 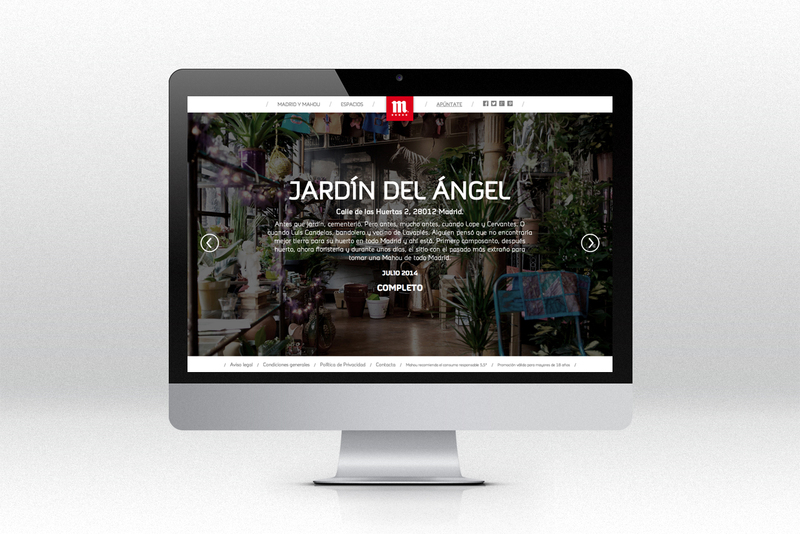 - Agencia del Gato, locations, decoration and logistics.